Our Goodtimers’ Ministry targets its message and activities to the needs and hearts of our 55 and older members and guests. meets 11:05am, upstairs in Room 203. The Goodtimers’ group enjoys many fun road trips and activities throughout the year. Recent trips include lunch and a Class Act Productions musical. Call the church office at 281-363-9292 to hear about the next upcoming event. Our monthly luncheons bring people together for fellowship and an engaging dialogue with one another along with an opportunity to connect with others looking at life through shared experiences. The cost is $3.00 per person. Please RSVP to the church office the Friday before the luncheon. 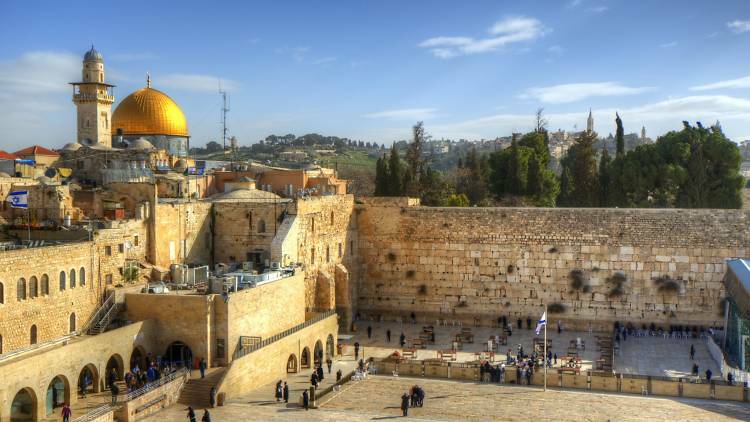 Make plans to join pastors Steve Bradley and Joe McKinney on a trip to the Holy Land in 2020.